The conversion process for translating 3D CAD models into AR-ready files can often be time-consuming and require the technical skills of a developer or 3D artist. Meta’s recent partnership with SOLIDWORKS will simplify this intermediate step and revolutionize the way users design and review digital models. 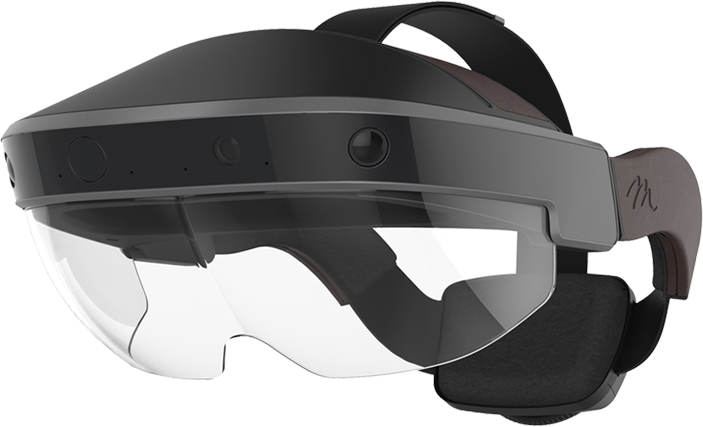 Soon, designers, developers, sales personnel, and non-technical employees alike will be able to import and view AR-ready CAD models in the form of a customized glTF file format in the Meta 2 AR headset, allowing for real-time visualization and interaction that will holistically optimize the 3D design and presentation process. Bridge the Gap Between CAD Models & Physical Counterparts: Quickly and easily share your design vision digitally before the physical design stage begins. Reduce the Time-Consuming File Conversion Process: Converting 3D CAD models into AR-ready files can result in a loss of important data that compromises model integrity, but with the Meta ViewerTM users will be able to retain key design information. Experience the Ease of the glTF File Format: Import glTF 2.0 models, an open source file format for 3D models that allows for AR compatibility. Dramatically Improve the Design Process: Shorten the design timeline by generating insights that can only occur in 3D, ensuring early design validation that ultimately shortens the product life cycle. Optimize Presentations to Clients: Present designs to clients for approval in an immersive environment that lends itself to shortening the design approval process. No Coding Skills Required: Everyone from designers to developers, to salespeople and others can utilize this tool—no speciality technical skills needed. The Meta ViewerTM with SOLIDWORKS glTF capability is an anticipated future Meta product—the timing, public availability and exact features of which are subject to change at Meta's and SOLIDWORKS' sole discretion. Check out how Stanley Black & Decker plan to use the new integration to optimize the design process.